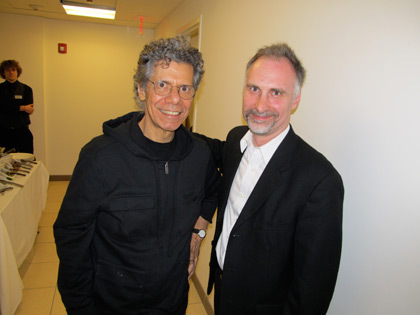 Chick Corea and Pete Sweeney. 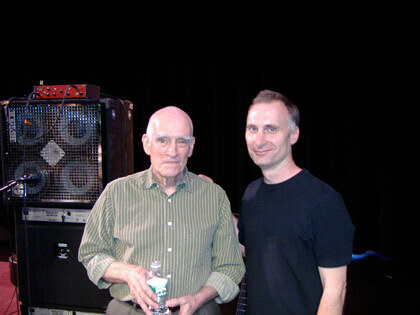 Jim Hall and Pete Sweeney. 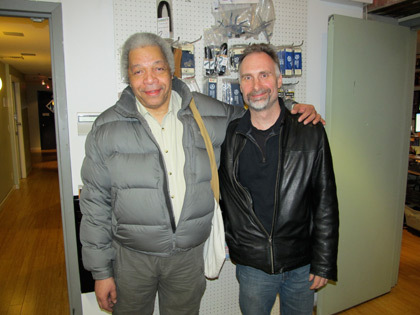 Pete Sweeney and Jimmy Cobb. 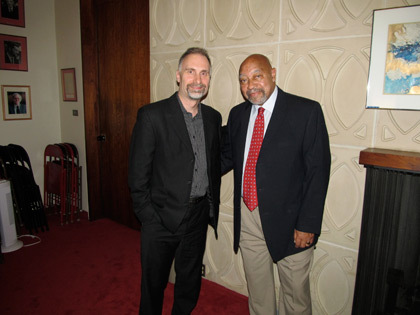 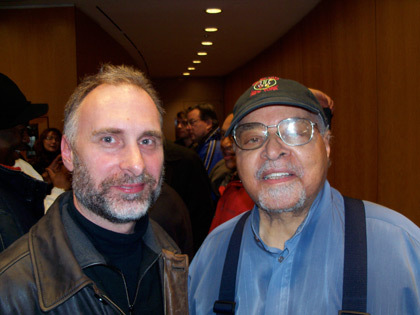 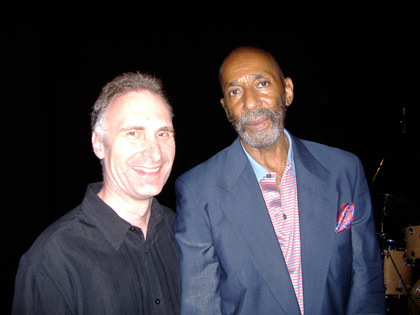 Pete Sweeney and Kenny Barron. 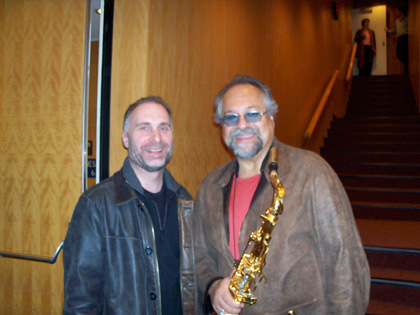 Pete Sweeney and Joe Lovano. 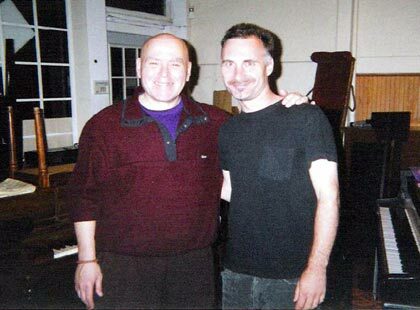 Pete Laroca and Pete Sweeney. 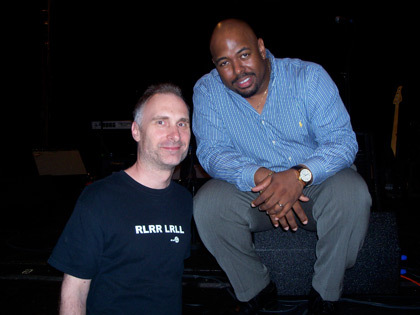 Pete Sweeney and Christian McBride. 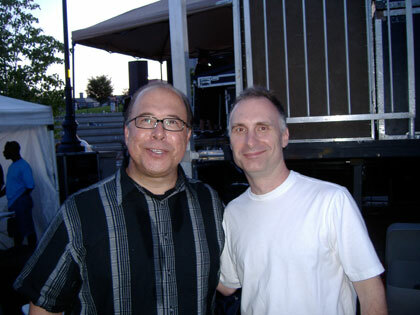 Pete Sweeney and Steve Luthaker. 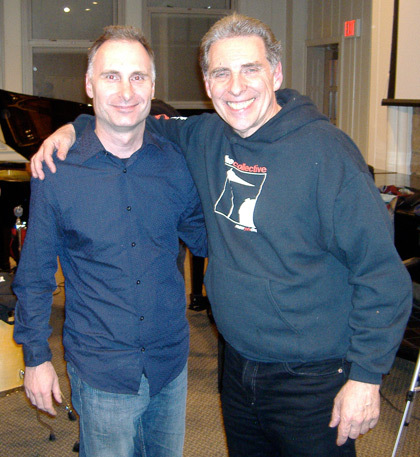 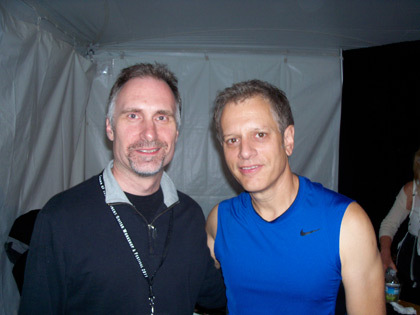 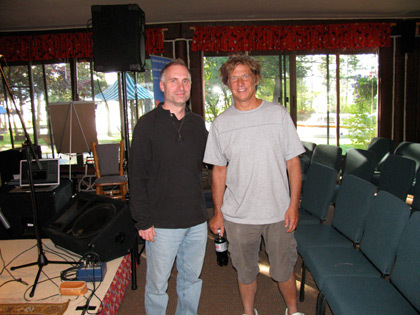 Pete Sweeney and Dave Weckl. 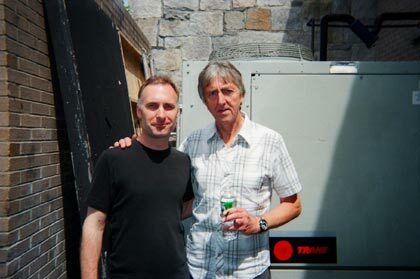 Malcom Cecil and Pete Sweeney. 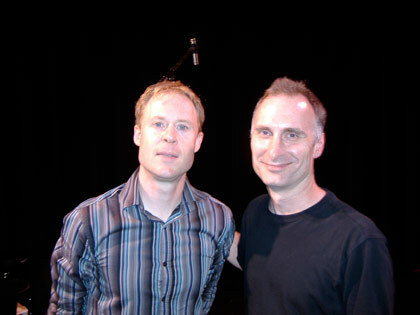 Pete Sweeney and Steve Smith. 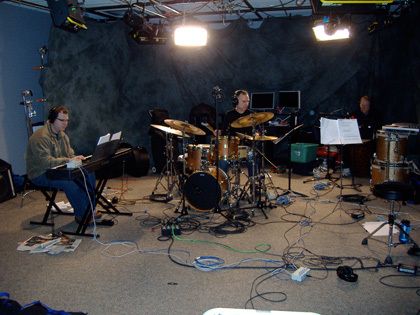 Dave Gleason, Pete, and Ed Mann recording at Workshoplive studio. 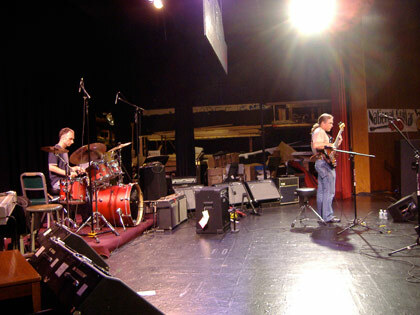 Pete Sweeney jamming with Chicago Bulls legend Scottie Pippen at the Turning Stone Casino May 2008. 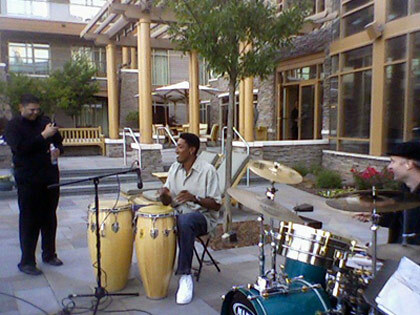 Scottie Pippen joined the band Sensemaya for a Cha-Cha-Cha! 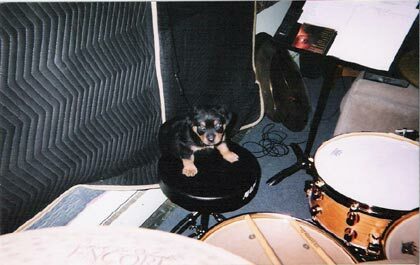 He wanted more cowbell! 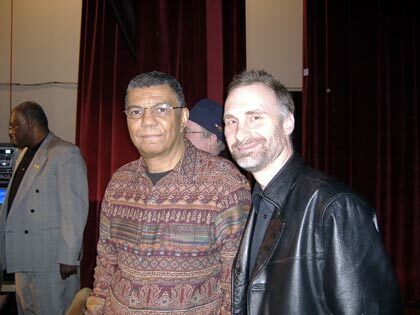 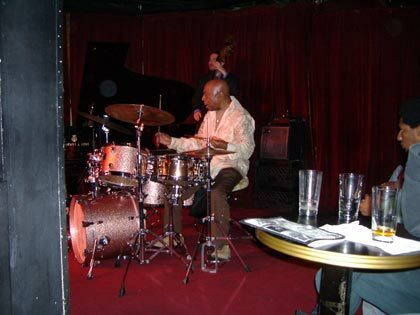 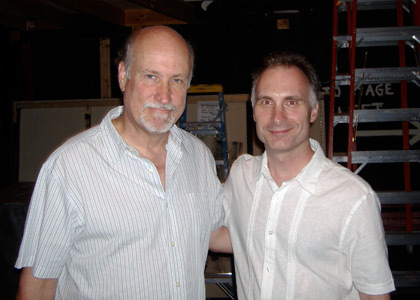 This picture was taken at a concert I played with guitarist John Abercrombie in Toronto. 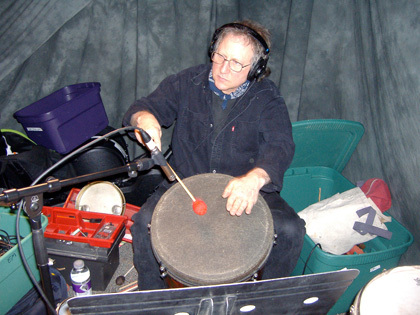 John is a great listener and interactive player, as well as a very funny guy. 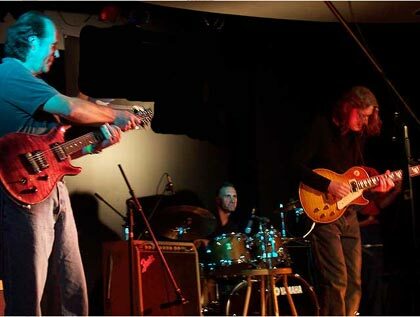 On bass is my friend John Yelland and on guitar to the far right is the great guitarist Rob Bulger. 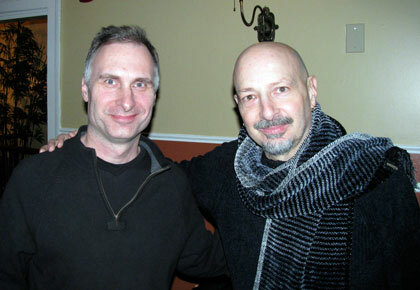 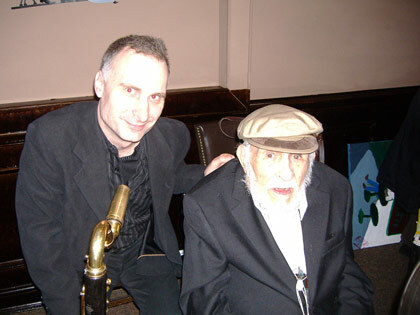 This is another picture of Joe Morello and myself. 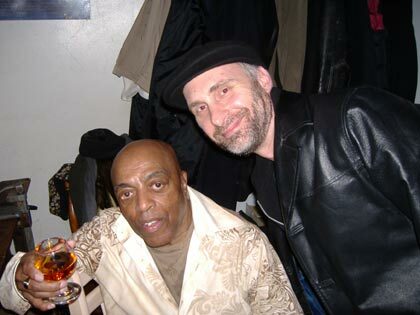 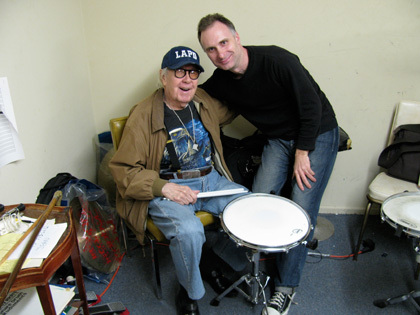 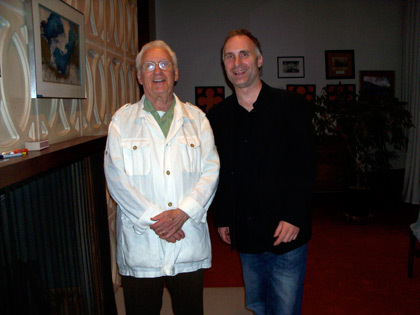 I did a three part interview with Joe which appears in my book series "The Complete Drumset Method" by Alfred. 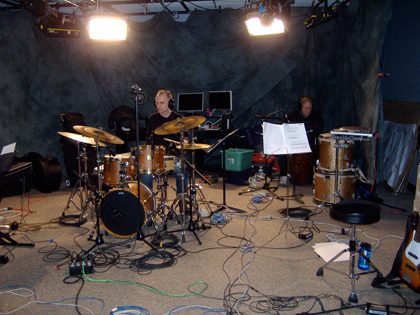 The interview has some interesting information on how Joe got started playing drums, and different musical concepts. 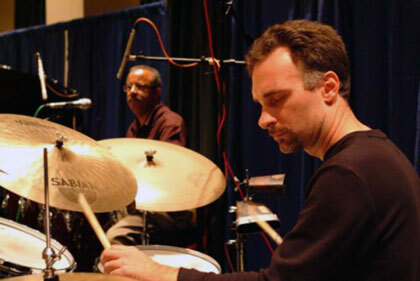 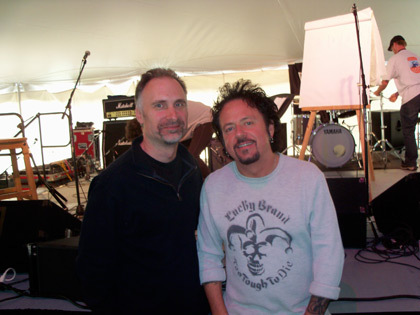 I always think of Joe not just as a great technical drummer, but also as one of the most melodic players on the instrument. 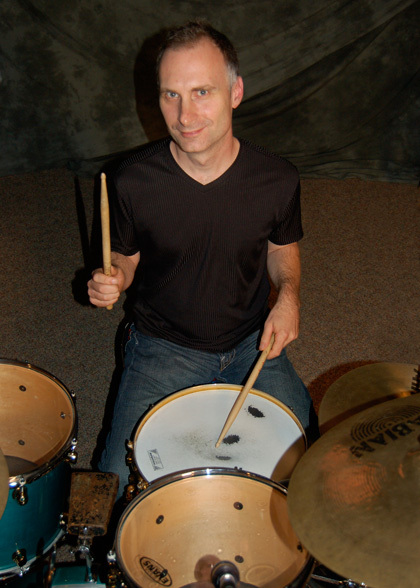 Check out his solos on "Sounds of the loop" and "Watusi Drums." 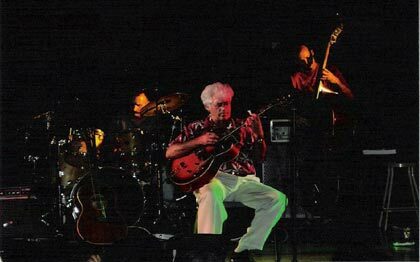 This is a concert I played a few years ago with the guitarist Larry Coryell. 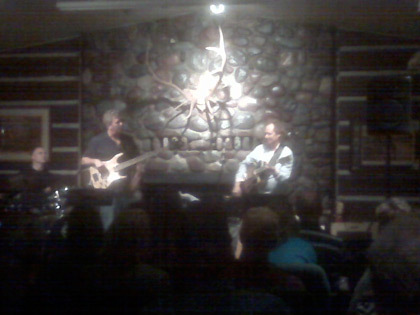 On bass is John Yelland, one of Toronto's finest musicians. 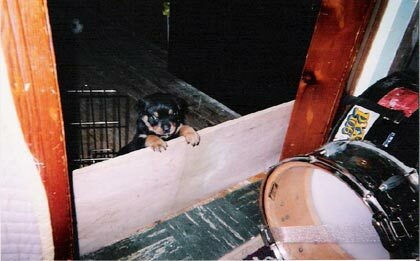 One of my Rottweillers, the Dude, two months old. 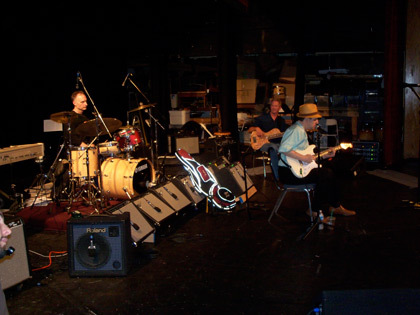 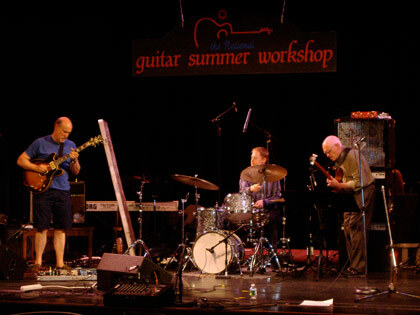 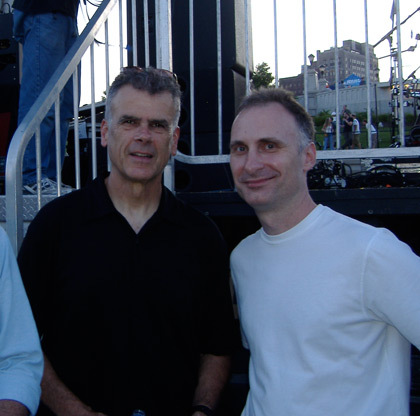 Guitarist Carey DeNigris, Pete Sweeney, and bassist Pete Toigo. 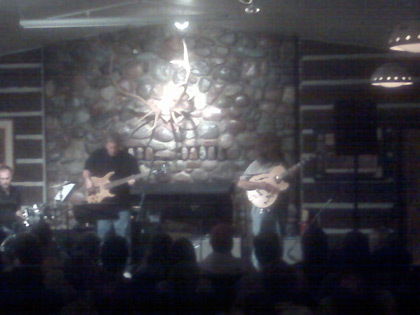 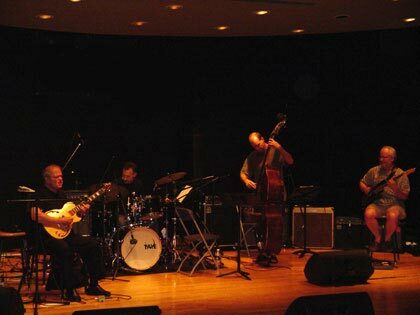 Carey is an excellent guitarist, who has performed for years in Chico Hamilton's group. 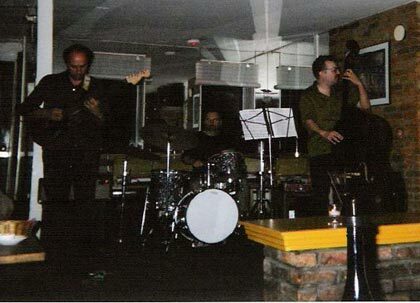 This was a gig at Justin's in Albany, NY. 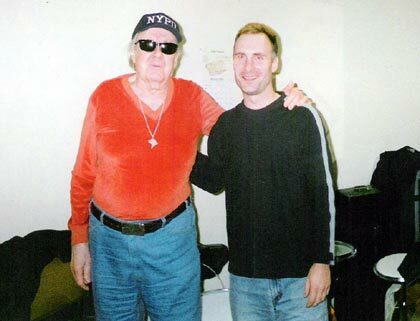 Redd, Pete, and the Dude. 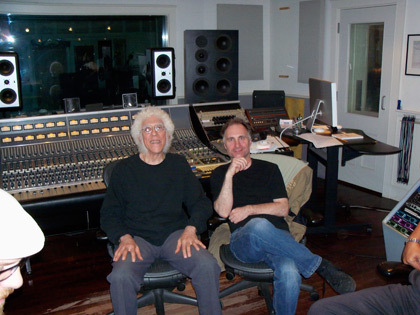 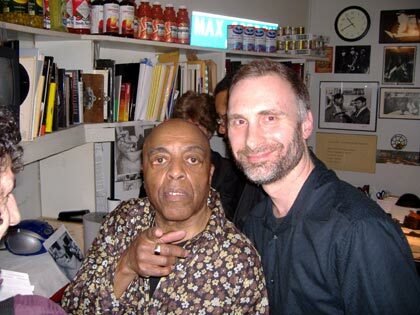 Bob Moses and myself. 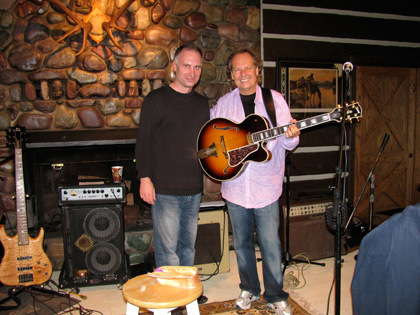 Bob is one of my favorite musicians, and a very original creative spirit. 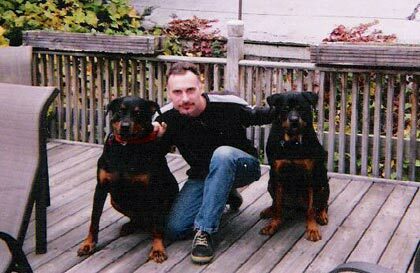 He likes to be called "Rakalam," a name given to him by Tisziji Munos. 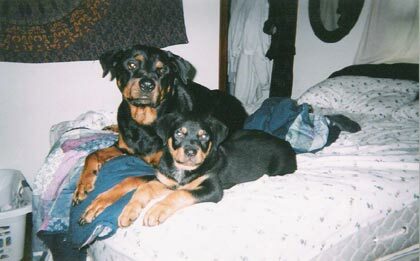 Redd and the Dude lounging on the bed. 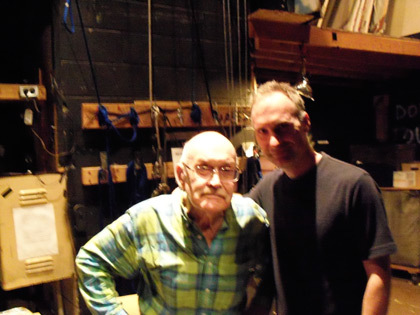 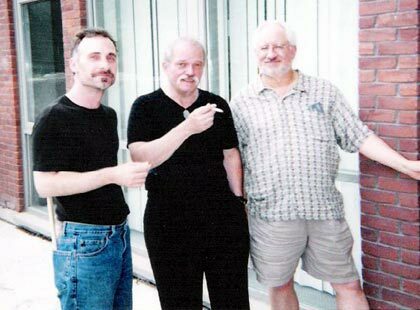 Here's a picture backstage with John Abercrombie and Rob Bulger. 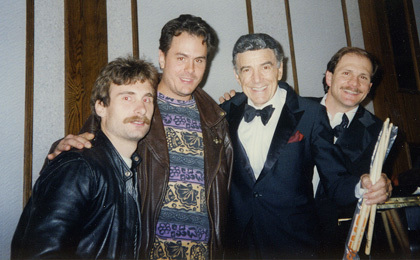 A lot of laughs that day! 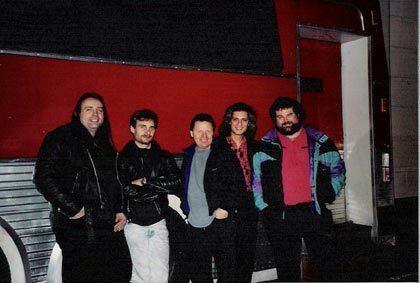 1991 at the Lonestar Cafe in NYC with Delbert McClinton. 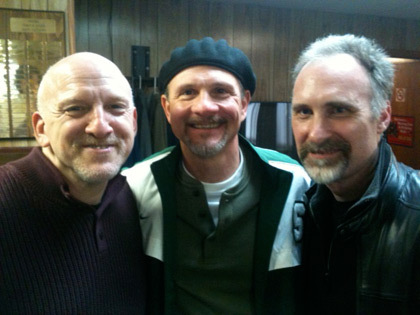 This was after a show the Matt Smith Band played with Delbert. 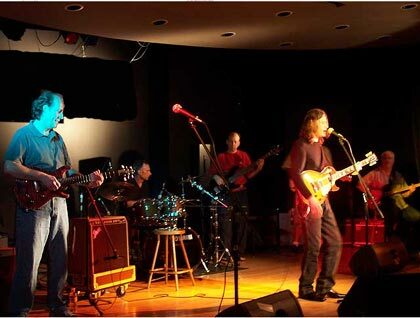 From left to right: Tony Perrino, Pete Sweeney, Delbert Mc Clinton, Chris Peck, and Matt Smith. 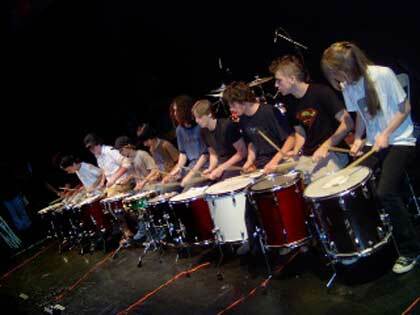 The Dude about to hit the skins.